I have traveled First Class on a plane exactly once, but it was the experience of a lifetime. Who knew airline seats could be so big and cushy? And that First Class passengers get much better food than the peons in the back? Aaah…that was the life and I have been hoping to be upgraded to First Class ever since. In the meantime, my husband and I recently found that First Class on a train trip is pretty fabulous as well. 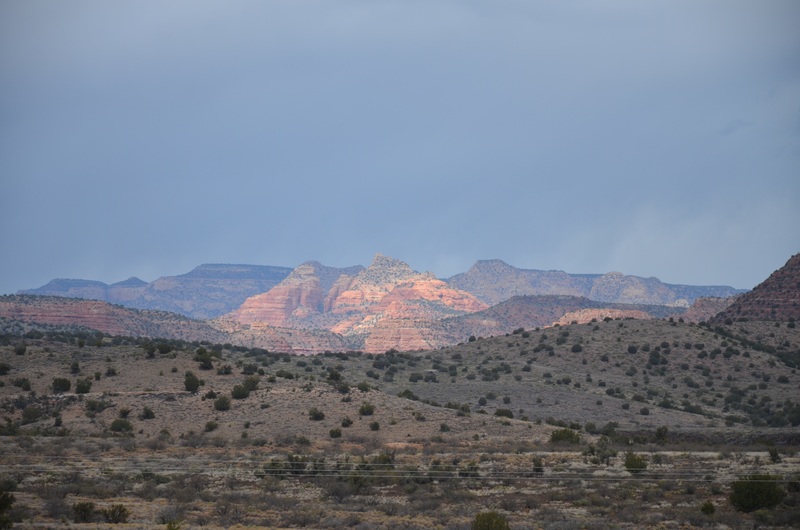 Heading to Arizona to explore the state in order to write several articles, I found information about a scenic train trip near Sedona, where we would be staying. 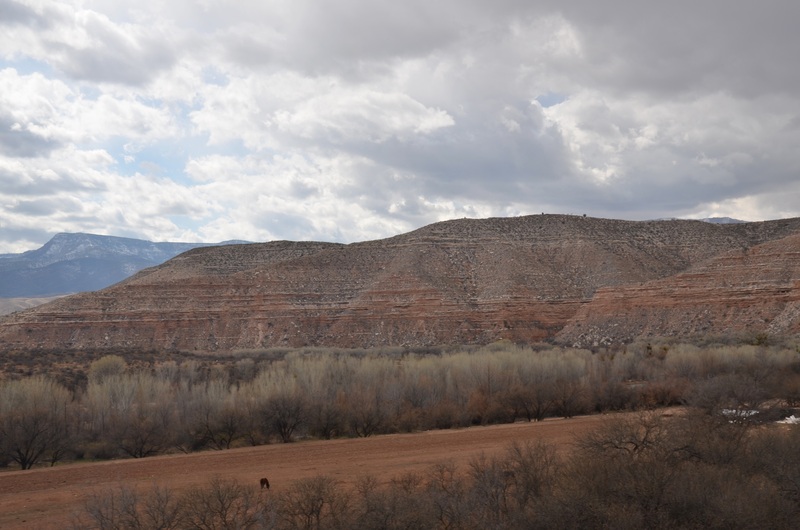 Always up for an adventure and thinking a scenic train trip might result in some great photos, we arranged our day trip and headed to Clarkdale, Arizona for a scenic day trip on the Verde Canyon Railroad. Clarkdale is a former copper mining town, founded in 1912 near the Verde River, and over 2,000 feet above the valley floor, with views of the famous red rocks of Sedona. Back in the early 1900s, the first railroad lines were built because there was copper mining in the area. 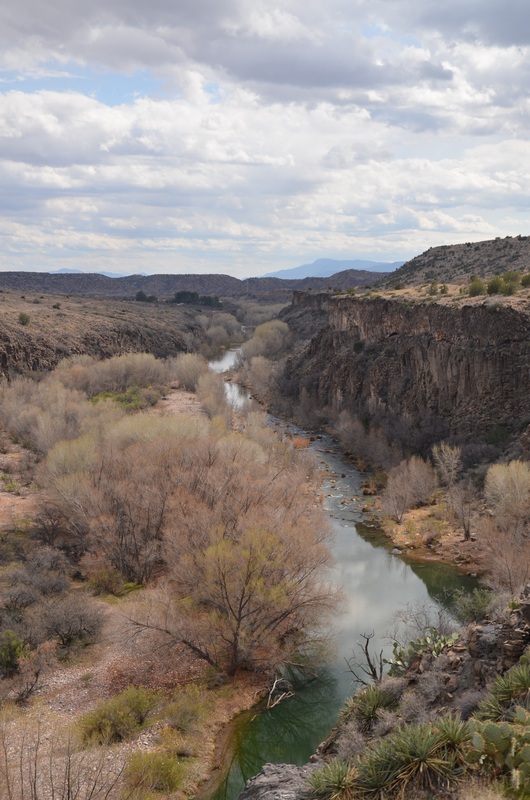 They were the arteries which connected the communities of the Verde Valley and transported the ore which was the lifeblood for the miners and their families. The United Verde & Pacific Railway originated from Jerome Junction near Chino Valley and, with 186 curves on the short 26 mile stretch, it became known as the crookedest railroad line in the world. 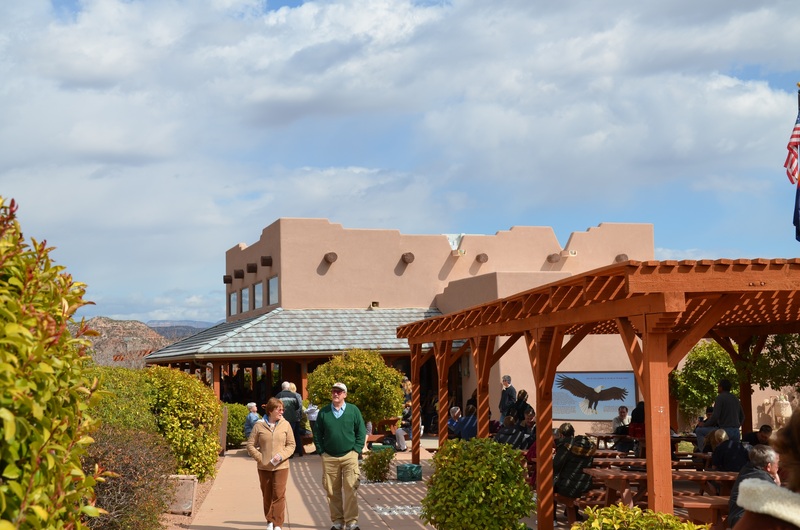 The town of Clarkdale, named for William Andrews Clark, who opened the copper mines, was Arizona’s first company town; it was designed with precision planning and technological advancement far from the norm in the early 1900s. The nicely built brick homes in the town included such modern conveniences as electricity, sewers and copper piping. 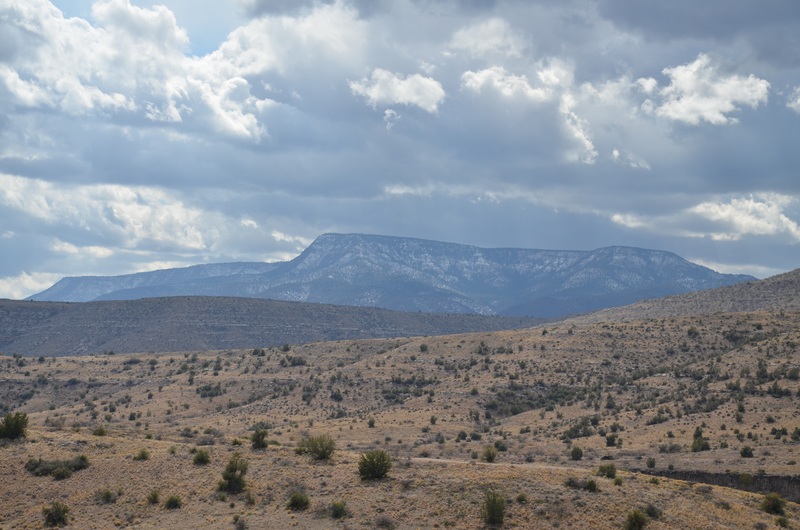 In 1911, Clark began construction of the Verde Valley Railroad, which took 250 men and one year to complete. This was amazing for the time, considering the line included a 680-foot tunnel carved through solid rock and a trestle spanning a 175-foot gorge. The railroad continued to haul passengers and freight even after the mines were closed, and in 1988 Dave Durbano purchased the line with a vision of creating a scenic railroad tour. The first excursion train of the Verde Canyon Railroad rolled out of the scenic, adobe depot on November 23, 1990. 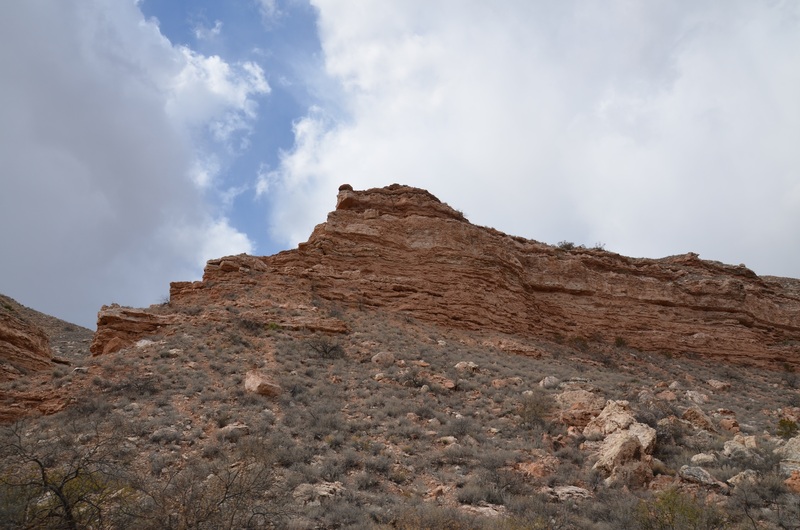 Instead of freight or copper ore, it carried people who were interested in the beautiful canyon where everything from cactus clinging to the sand to soaring mountains make it a fascinating journey. 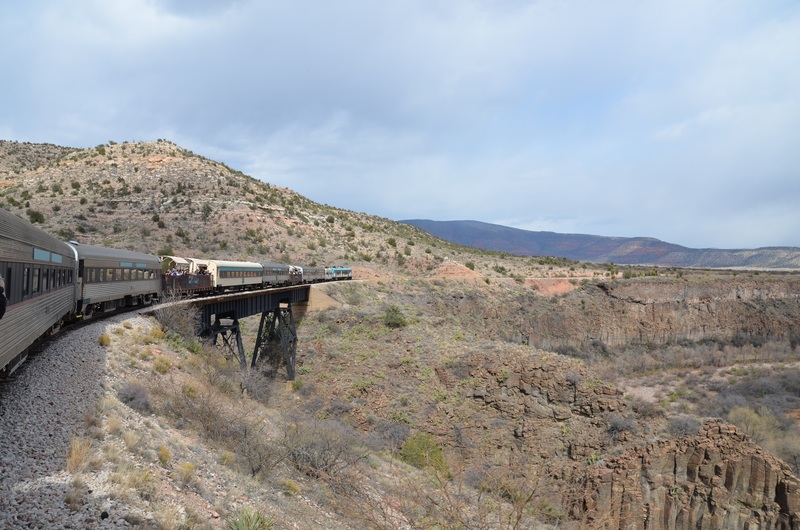 Today, about 90,000 people a year take the scenic Verde Canyon Railroad to discover the elegance of train travel and the amazing scenery of the area. With all this history in mind, we ventured into the charming depot, which is made of adobe and has a typical southwest appearance. The depot includes a gift shop, museum and the Copper Spike Café, where we grabbed a sandwich before boarding the train. 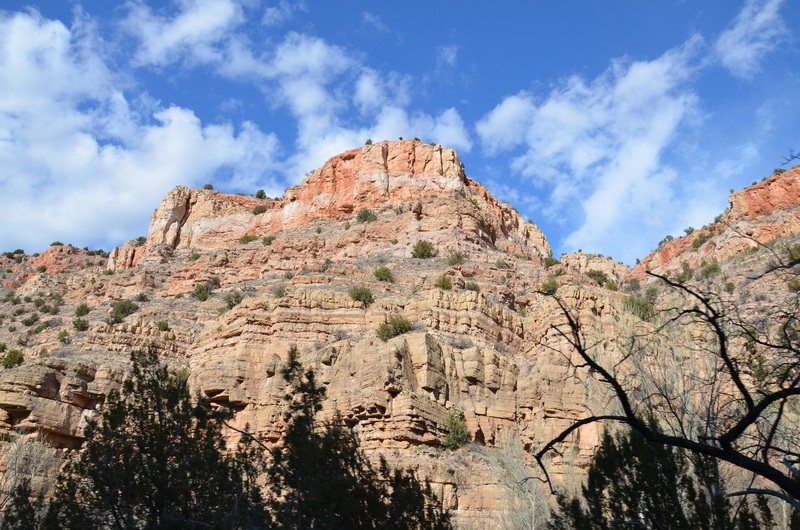 The Verde Canyon Railroad is a very popular outing in the Sedona area. The parking lot was full when we arrived and people were streaming into the quaint depot to buy tickets. The train leaves at 1:00 p.m. daily, so passengers should be there by 12:00 — as 400 passengers will be boarded 20 minutes prior to departure. Reservations are strongly recommended as the trains often sell out. Our reservations were made by the railroad’s public relations representatives, and,when we picked them up, we realized we were in the First Class car. We had no idea what First Class included or what the car would be like, but we knew that First Class is always a good thing. We soon found out that the First Class cars accommodate 24 to 40 passengers on plush, upholstered furniture. Full bar service is available and a wide array of appetizers are complimentary. The Coach cars accommodate 74 passengers on traditional two-person seats on each side of a center aisle, with snacks for sale in each car. 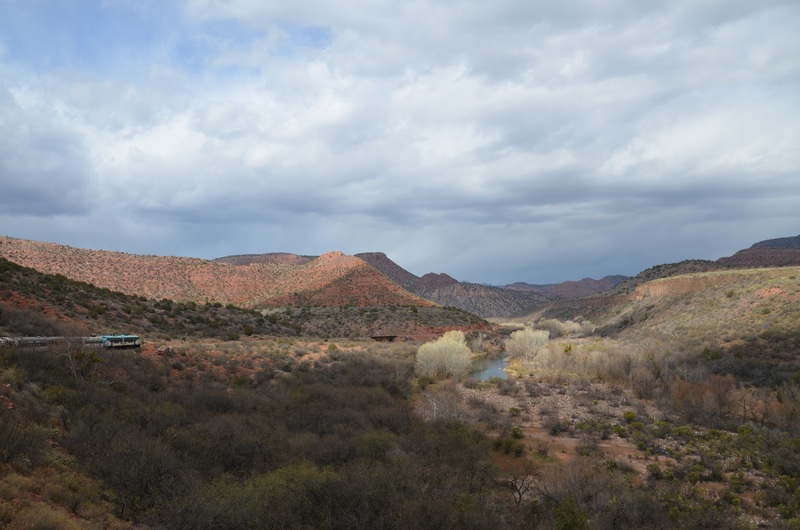 The train tracks follows the Verde River north and west of Clarkdale to the deserted ghost town of Perkinsville and back on a four-hour journey. We boarded our car and I was immediately in heaven. I settled down on the plush love seat, and decided that train travel was the best sort of travel. Especially if you are in First Class. No tiny airline seat with someone fighting me for the arm rest, no elbows in the head as other passengers shoved their luggage in the overhead bin, no seats reclined into your lap, no dry and tasteless cookies. This was the way to travel. The soft and comfortable love seats had a low coffee table in front of them, and there were also cushioned seats with a higher table. Bowls of potato chips and bottled water were already set neatly on our table along with napkins and silverware. One of the first announcements was that there would be a food spread once we got going. Even though we had eaten lunch, we somehow still managed to pack away samples of the fresh veggies and dip, cheese and crackers, chicken drumsticks, and brownies. Drinks, including bottles of wine were available to purchase. 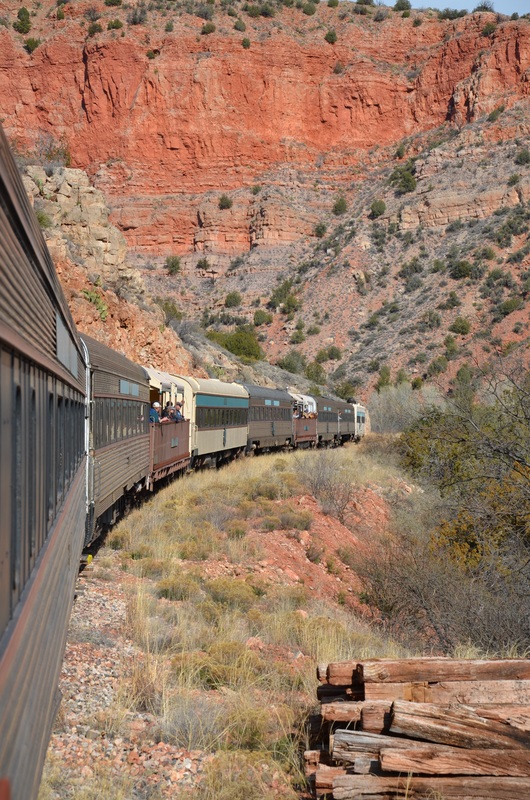 Not only was this First Class railroad car completely comfortable and relaxing during our scenic journey on the Verde Canyon Railroad in Clarkdale, Arizona, the view outside the window was absolutely spectacular for the entire trip. 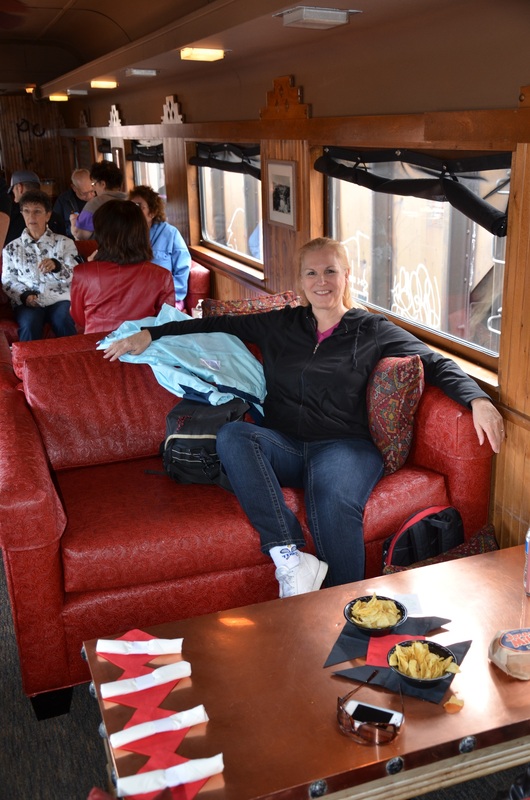 There is a private, open-air viewing car for First Class which turned out to be a great place to get photos. We could relax in the comfort of the closed car, then just stroll out into the open to enjoy the weather and take photos. The area we traveled through was virtually devoid of human occupants. We saw a couple of dwellings, but the ruins of the tiny settlement of Perkinsville are a sad reminder of how difficult life can be in this area, where there is little transportation and where fresh water is not easily obtained. This means that the windswept desert and towering mountains are clean, unspoiled and quite lovely. We saw beautiful mountain streams and rivers meandering through deserted landscapes, where the only sound was the quiet noise of the train as it passed through. We passed over bridges and through tunnels, and it was like taking a trip back to the time of pioneers and settlers who tried to tame this area and failed. We enjoyed every minute of our scenic train trip and thought it would be particularly wonderful for train-loving kids. The train runs daily all year long, rain or shine, most days of the week, and the striking scenery is different during each season. Ticket prices vary, so check the web site. Jan Ross has been traveling the world since she was an infant as her father was a career Marine Corps officer. She became a full-time travel writer in 2009 and travels the world with her photographer husband, writing and photographing their experiences for a variety of venues, both print and online. They have over 200 articles published and are always working on more. They find cruising a great way to see the world and take at least 2-3 cruises a year to a variety of locations. When they are not traveling, they spend time at home with their family in Kentucky.